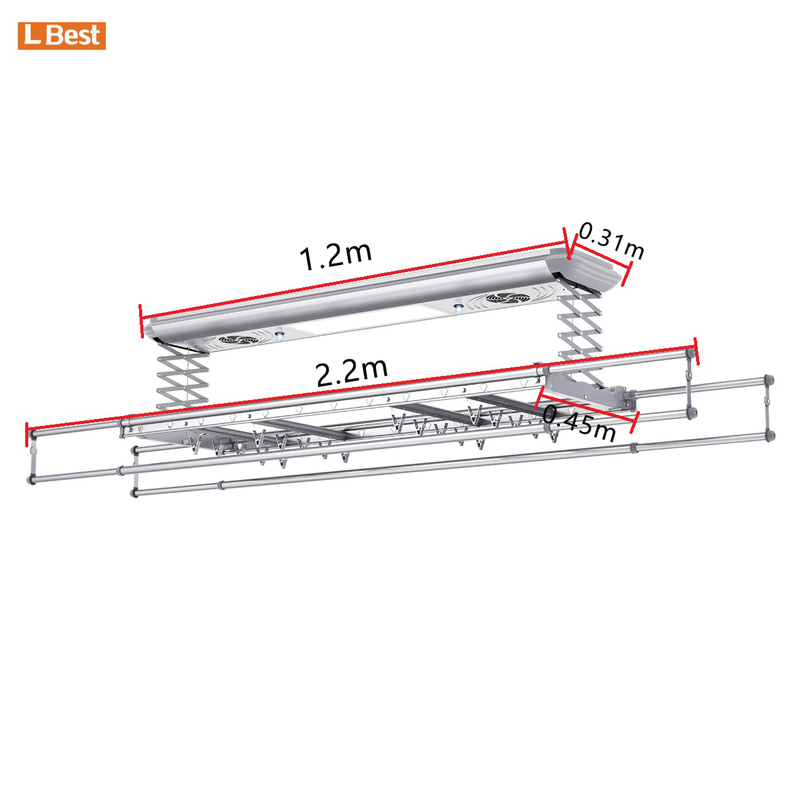 1.auto stop when hit obstacle ：When the pole is lowered, it will stop automatically when hit obstacle . 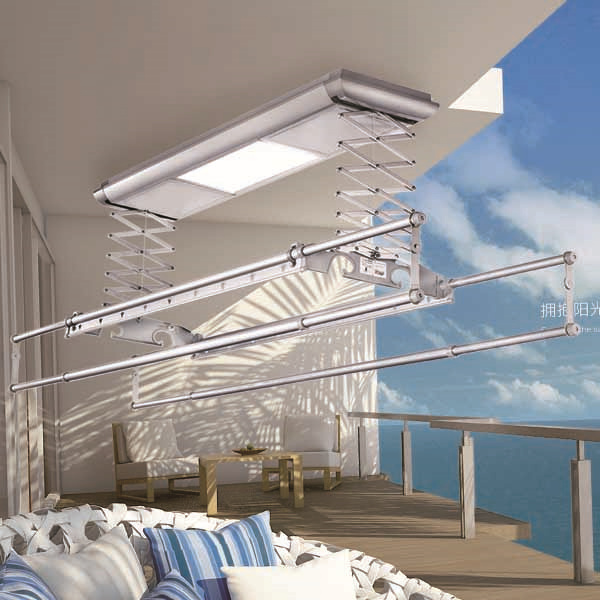 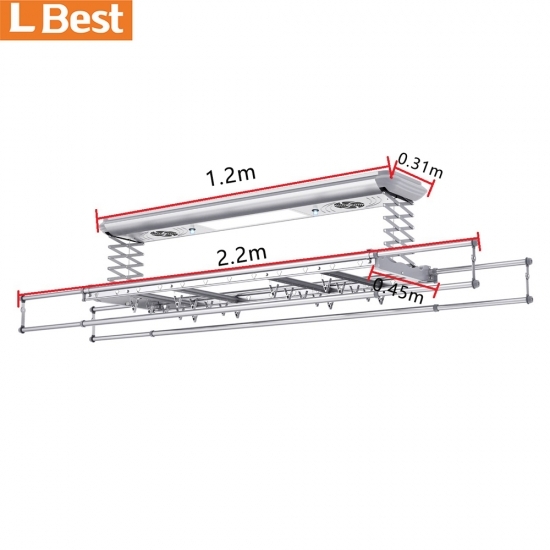 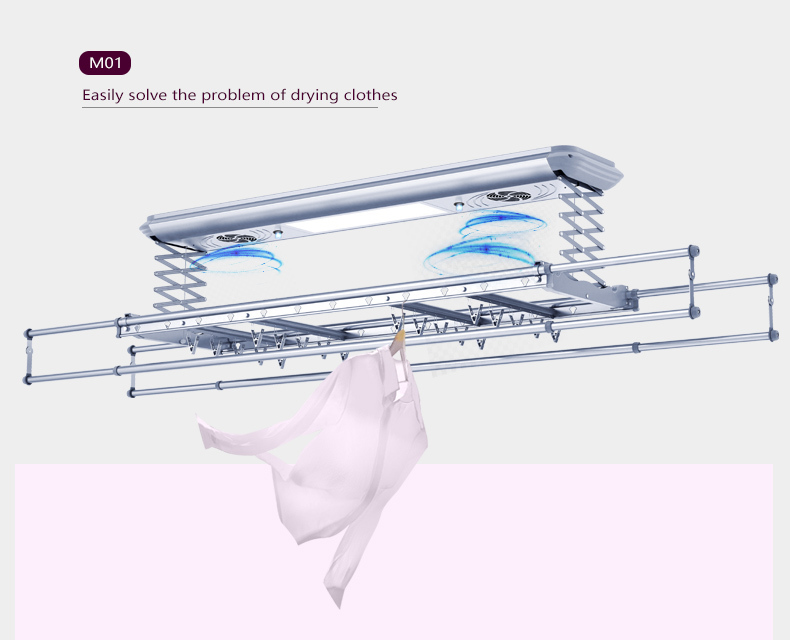 It can avoid accidental injury to old people and children.When down to a suitable height, only by holding the pole with your hands, you can stop falling and start drying. 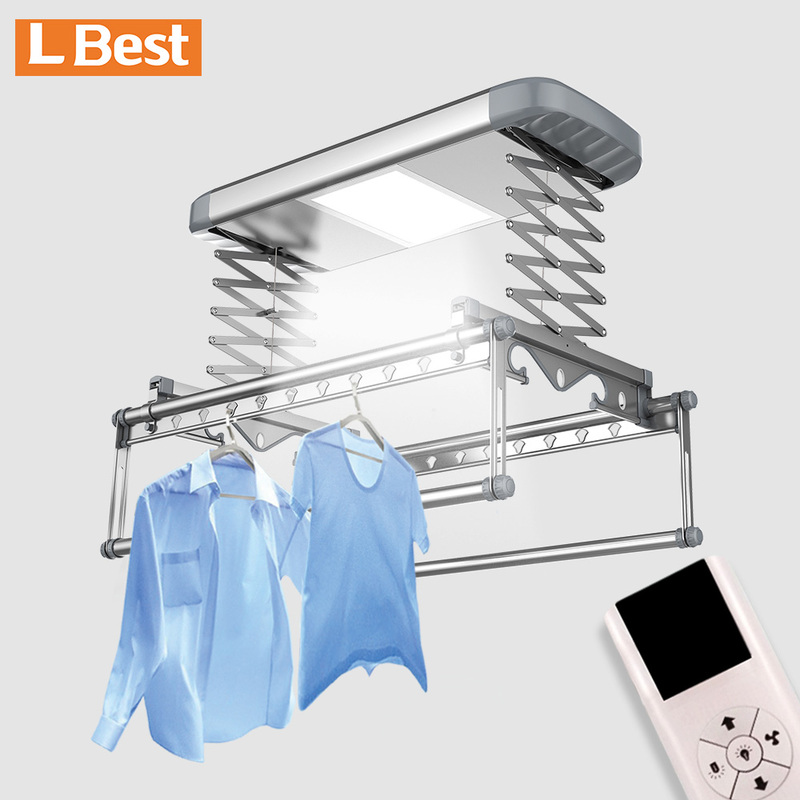 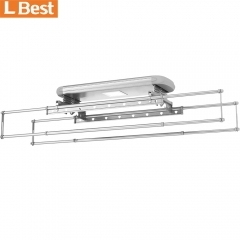 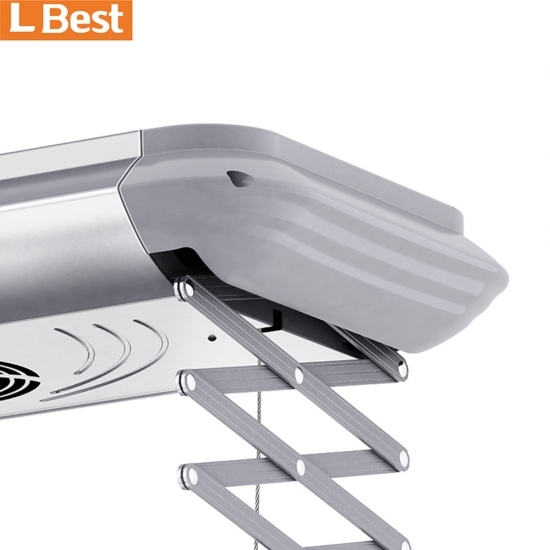 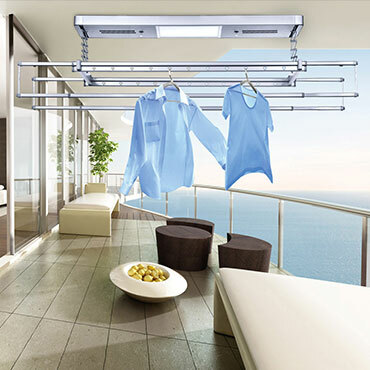 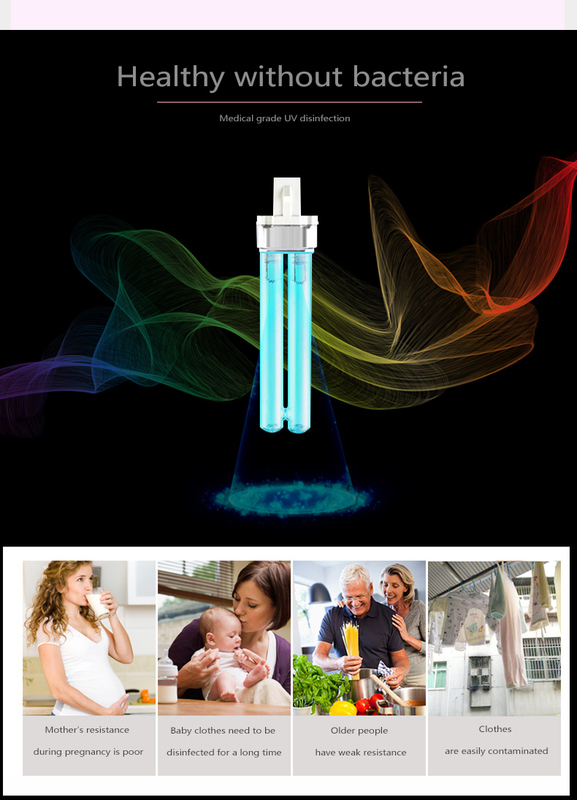 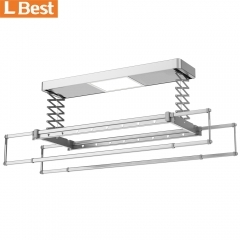 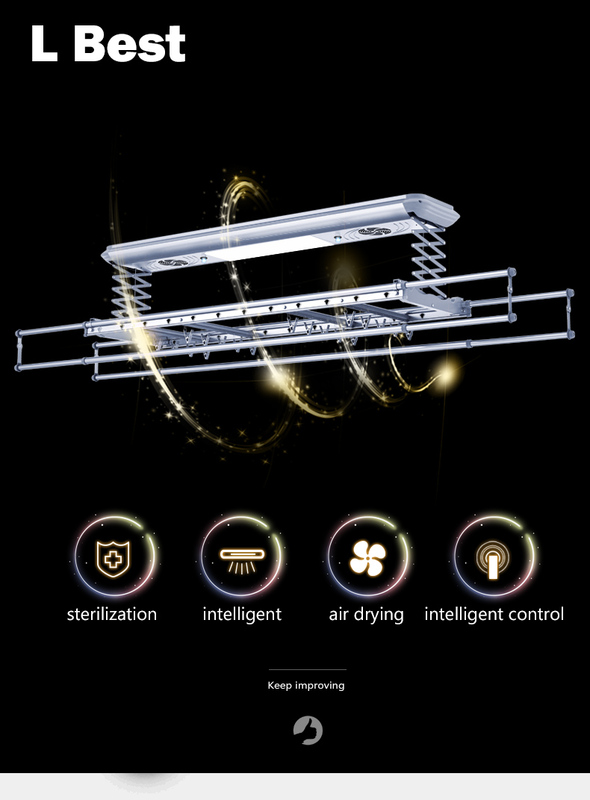 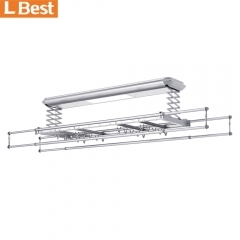 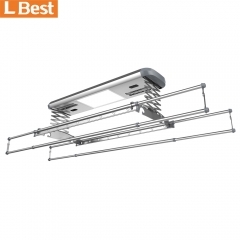 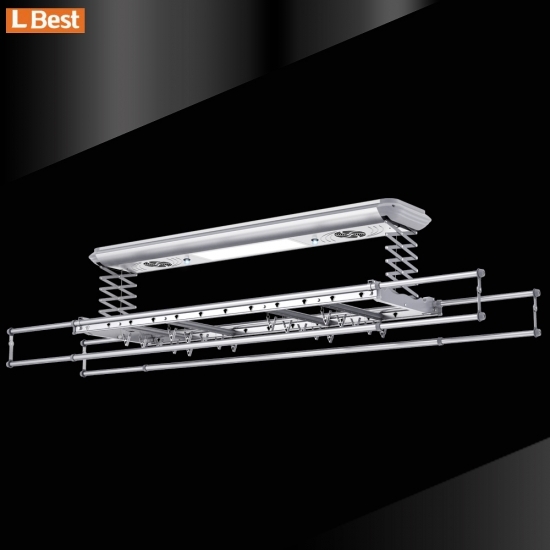 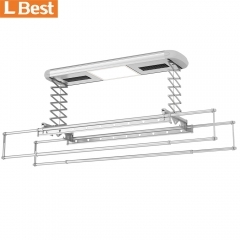 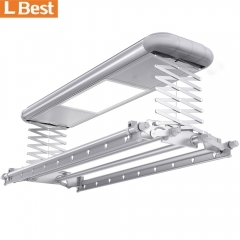 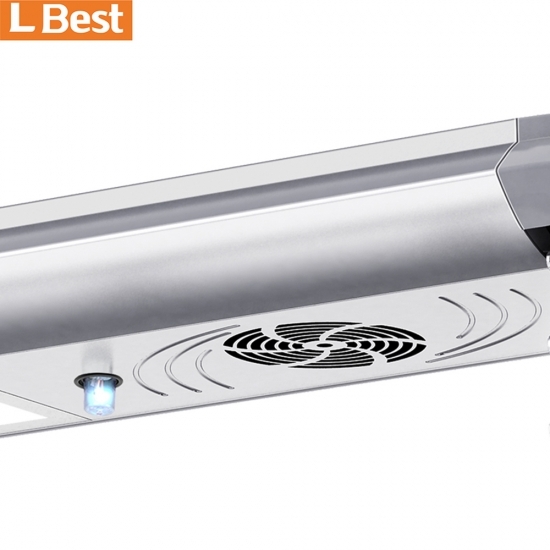 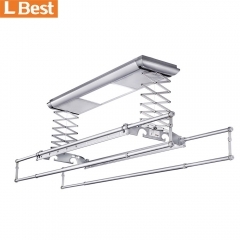 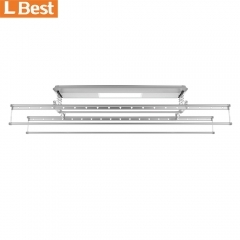 2.Intelligent air drying,it takes only three hours for dry clothes .Intelligent sterilization and sterilization,automatic closure of half an hour ,avoid too much radiation ,at the same time, clothes also can be sterilized.